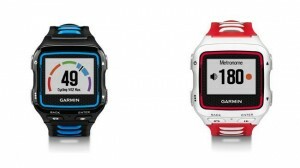 Garmin has presented the evolution of the 910XT, 2011, the Garmin Forerunner 920XT, a new smart clock for high-level athletes. 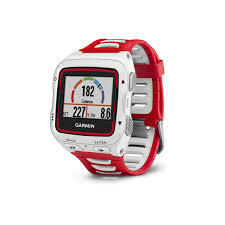 The new gadget from Garmin is able to measure and display color display from the steps taken and distance to calories burned, cadence or speed. Furthermore, to assess the nocturnal sleep as any other quantifier time. But for top athletes, the Garmin Forerunner is also very interesting, such as those engaged in the duties swimming and want to count their strokes or who train running in series, because it has an alarm system of time specifically for it. It is also capable of measuring power and heart rate when combined with external meters with ANT + technology, which the Garmin Forerunner 920XT can assess VO2 max (maximum oxygen consumption) for strength training, heave and time foot contact with the floor brokers. Set daily goals to encourage each user in your training and record accurately the busiest routes or places thanks to its integrated GPS. We may also receive the doll the notification emails, text messages or calls if we pair the device with our mobile with Android (4.3 or higher) or iOS (7.0 or later) and all data contained in this smart watch can be analyzed in community Garmin Connect. 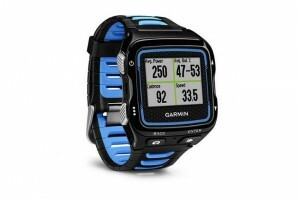 As we can see, the Garmin Forerunner 920XT has many more features and more complete results than other quantifiers available in the market, therefore, is suitable for high-level athletes and has a price significantly higher, as it will sell for $ 450 in the United States. For those who need a complete smart watch and attend specifically monitor a sport, this is a good alternative that is also suitable for quantifying the day.